It’s rightfully said that no visit to Saint Lucia would be whole without at least a short stay in Soufriere, renowned for its surrounding lush rainforests, amazing hiking trails, mud baths, hot springs, gorgeous waterfalls, and intimate beaches. Then, there’s also Soufriere’s backdrop of the famous Pitons, a UNESCO World Heritage site comprised out of two mountainous volcanic plugs. 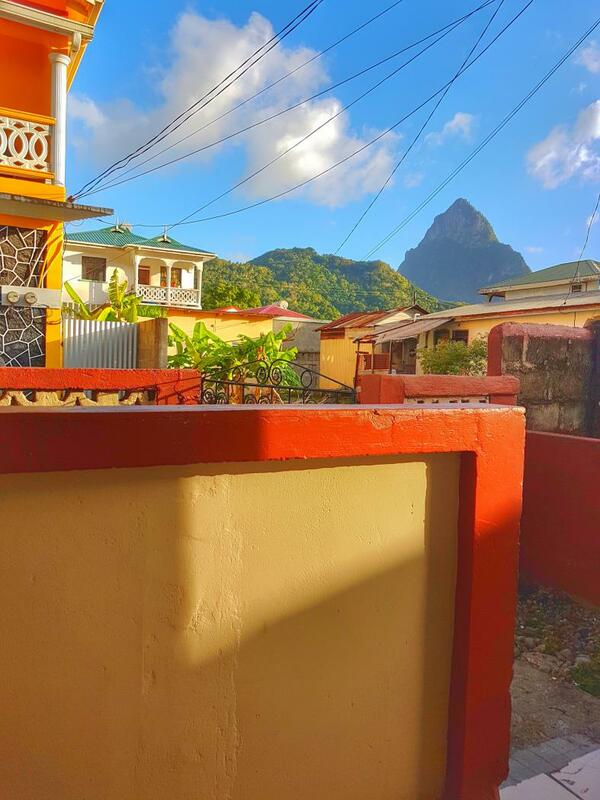 Whether you’re a tourist visiting Soufriere and its unique wonders for the first time, a recurring Caribbean traveler, or a citizen of the Saint Lucia island state, we warmly welcome you to stay at LaKaye Nou. 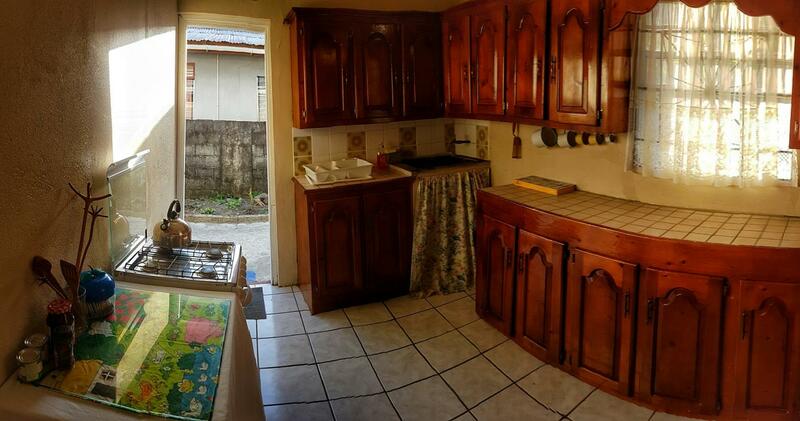 Our cozy French Creole Guest House is located in the peaceful and quiet, neighborly community of Fond Benier, less than a kilometer away from Soufriere’s center. It’s the perfect place to relax as well as to experience tranquil mornings and evenings whilst enjoying the view provided by the majestic Petit Piton. 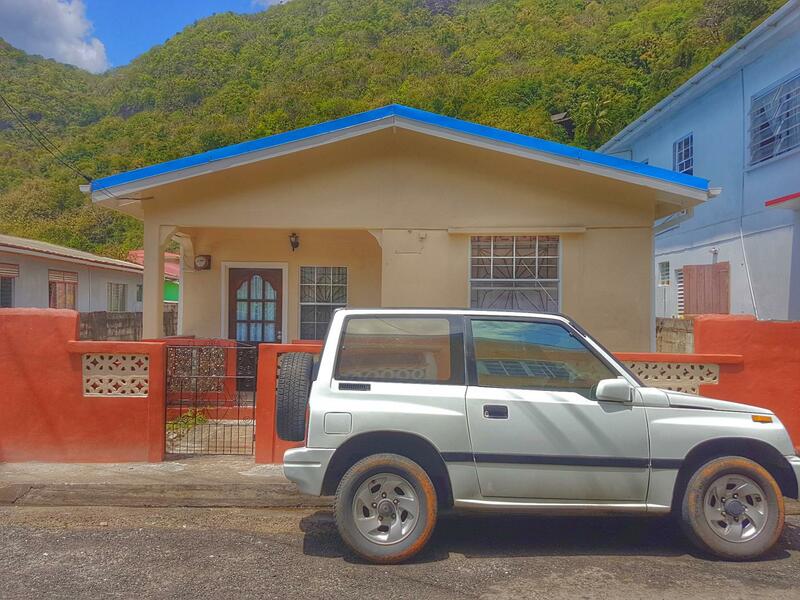 The property is located at a short, 1-minute walk away from one of the best beaches in the area, the Hummingbird Beach Resort, and similarly close to both one of the most popular cafes, Pier 28, and the Allain/Eroline supermarket. It’s also ideally positioned within a 5-minute walk range from Soufriere’s town center where you can find other cafes, restaurants, bars, gift shops and a shopping center. If you’re the adventurous type, you can choose from one of the multitude boat, nature, food, private-day, or sightseeing tours, as well as go for a climb/hike on either the Gros Piton or the Petit Piton. Even better, the best of everything that Soufriere has to offer is accessible within a 20-minute drive. You can explore some of the most popular sites of the area like serene botanical gardens, interesting jungle spas, mesmerizing waterfalls, volcanos, and even engage in activities such as horseback riding, zip lining, ATV touring, and even snorkeling. The reasonably spacious place with three bedrooms (two queen-sized beds and one single or twin bed – on request), seating area, dining room, bathroom, and fully-equipped kitchen, provides the perfect accommodation for single travelers and small groups of up to five people. We provide our guests with full access to the house and the yard area, free Wi-Fi, free on-site parking, and all the included essentials such as towels, bed sheets, and bathroom products. Other amenities include a first aid kit, books and toys for children, a fan, and access to a hair dryer and an iron. Did we mention the fact that our guest house is pet-friendly? We know that no vacation is complete without your furry loved ones. We look forward to welcoming you and providing you with all the local insights in order to ensure that your stay with us will be as pleasant as possible.